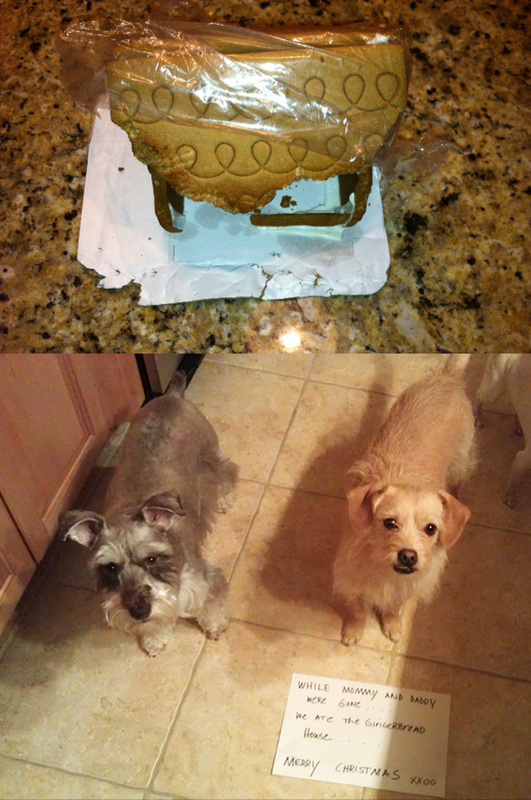 Came home to find these two had snuck in the pantry and found the gingerbread house. They ate the gumdrops too! Posted December 15th, 2012 .